La Palina has begun shipping its 2017 exclusive cigar for the Tobacconists’ Association America. It’s called the Bronze Label and comes as part of a collaboration with Rocky Patel. The 6 1/2 x 52 cigar is being made at Plasencia’s El Paraiso factory in Honduras. It uses a Honduran habano wrapper, Honduran binder and fillers from Honduras and Nicaragua. 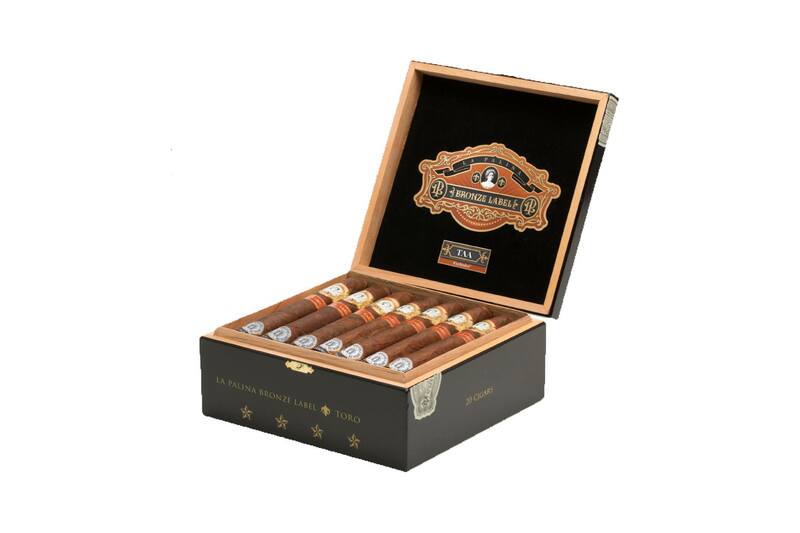 “I’m very proud to be working with some of my oldest personal friends and collaborating with a terrific cigar company such as La Palina to produce this fine cigar blend,” said Patel in a press release. It’s priced at $9.99 and sold in boxes of 20. The TAA is a fairly small group of some of the country’s top tobacconists, about 80 retailers as well as 40 or so manufacturers. The association gathers annually to discuss issues facing the industry and retailers, as well as to have its annual trade show, a unique event that works on a group buying format in order to secure exclusive deals for these generally high-volume merchants. Next Post: Who are you ?